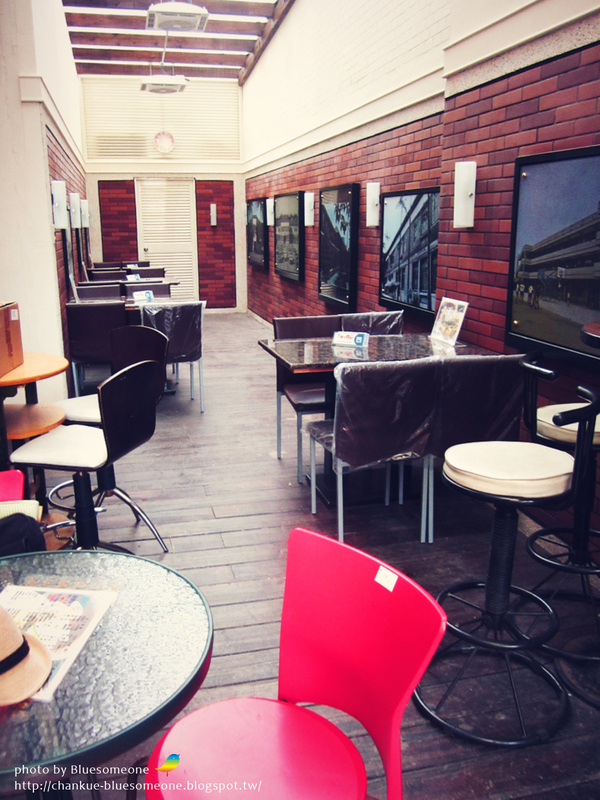 The café is next to library in the corner site with suitable space, providing 7,8 tables for customers. 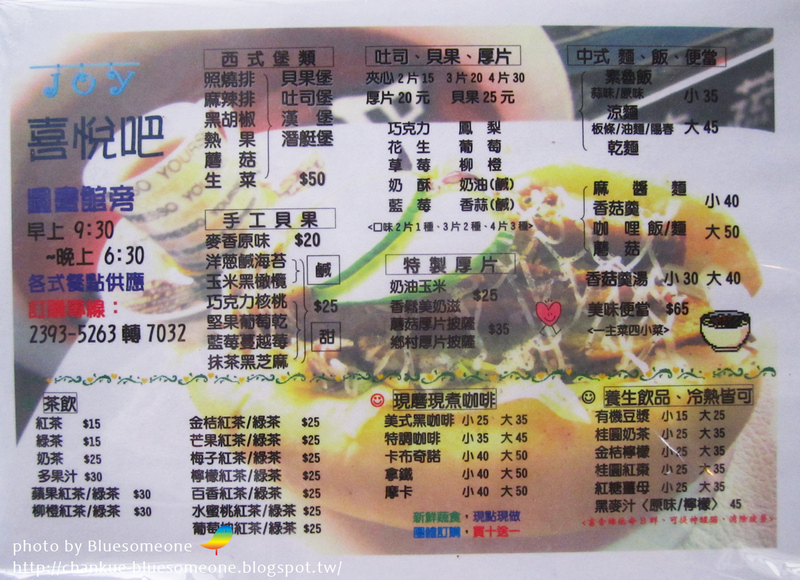 Here comes the menu, Chinese only, but don’t worry, the owner can speak English. 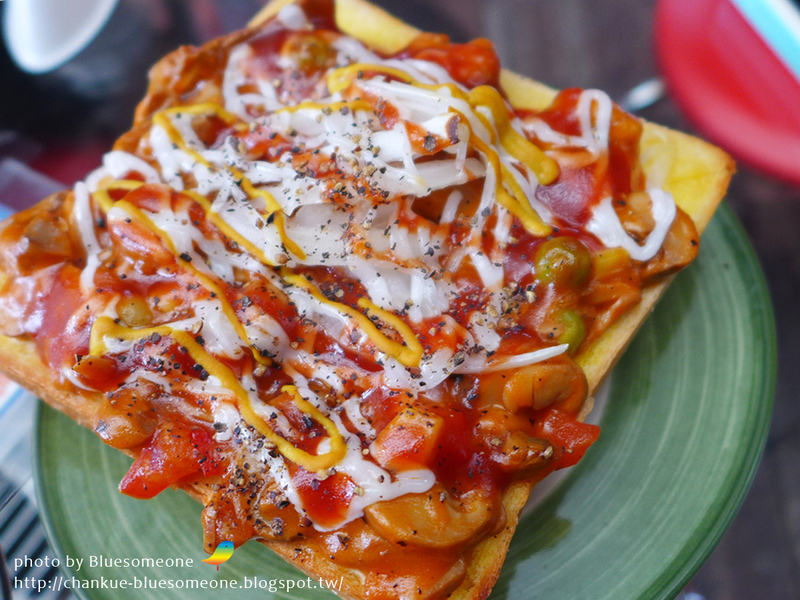 They provide many kinds of meals like Hamburger, Bagel, Special thick toast…for light food, and formal meal as Chinese rice and noodles. Thick shop with a lot of materials, many vegetables inside, cooked tasty. For girls just this soup combining a bowl of rice can get quite full ! 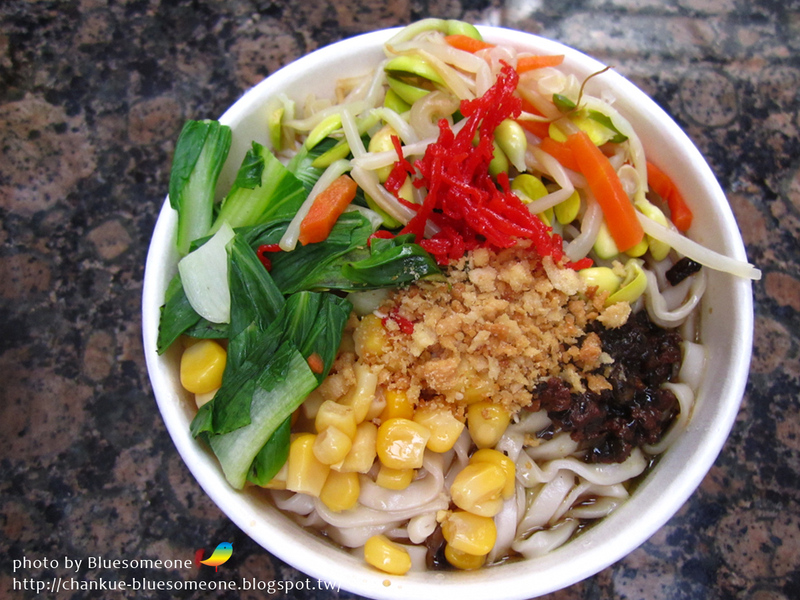 Dry noodles in Taiwan are usually just noodles with vegetables(the green leaves), with such many materials is really rare! ! With colorful looking, of course the quantity is big also! 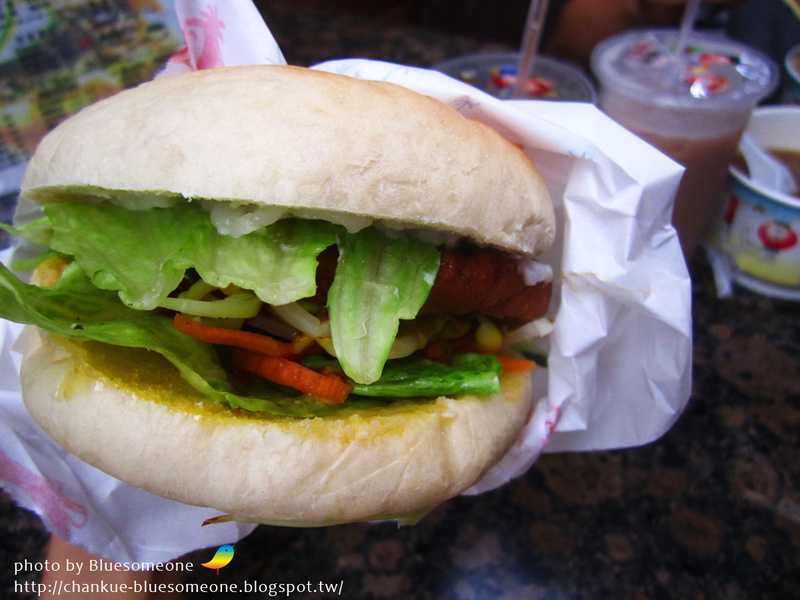 The handmade bagel with veggie pork chop and vegetables is the popular bagel burger in Joy Bar! 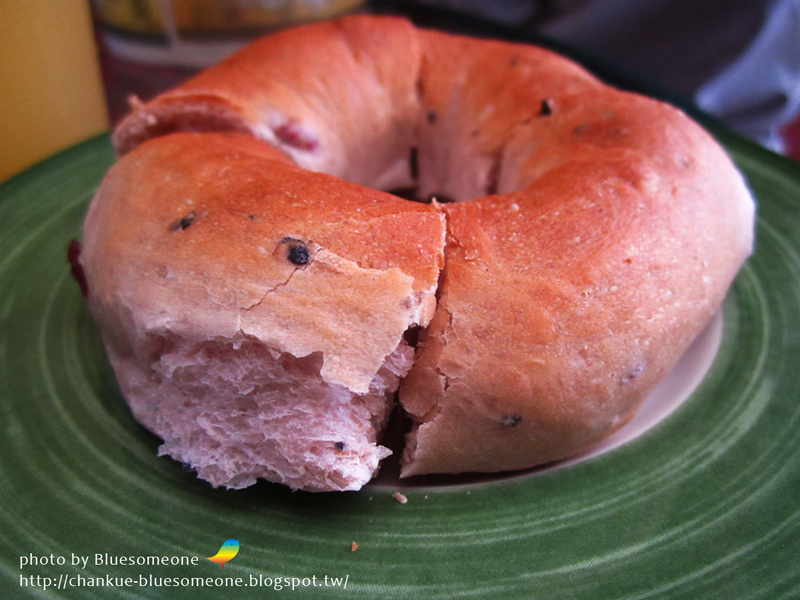 The handmade bagel is fresh and chewy, bravo! This is one of my favorite dishes. Actually it’s a thick toast for luxury version~ But the special sauce made by the owner is really dense and tasty like a real pizza. 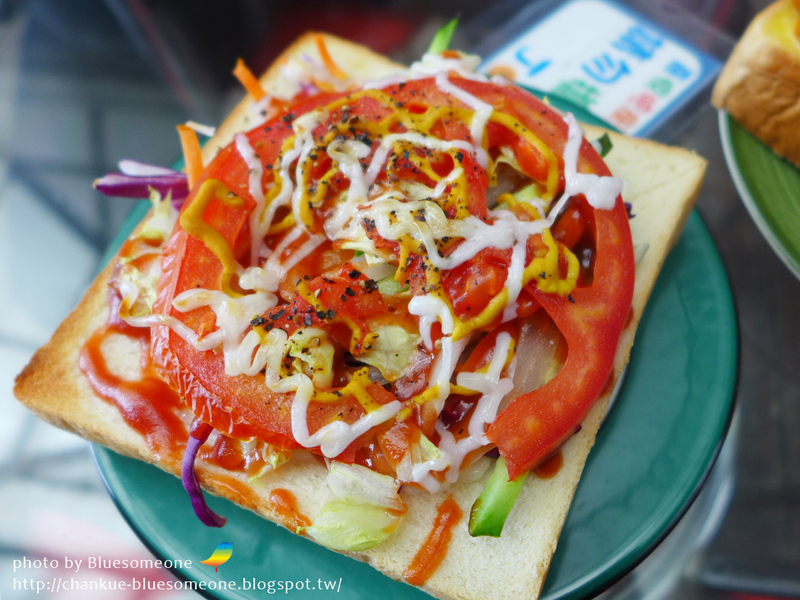 The most ingredients for this are tomatoes and lettuce, tasted fresh and nice. All meals there can be taken out. If someone’s afraid that the sauce makes the bag a mess, can also choice bagel or sandwich as so on. 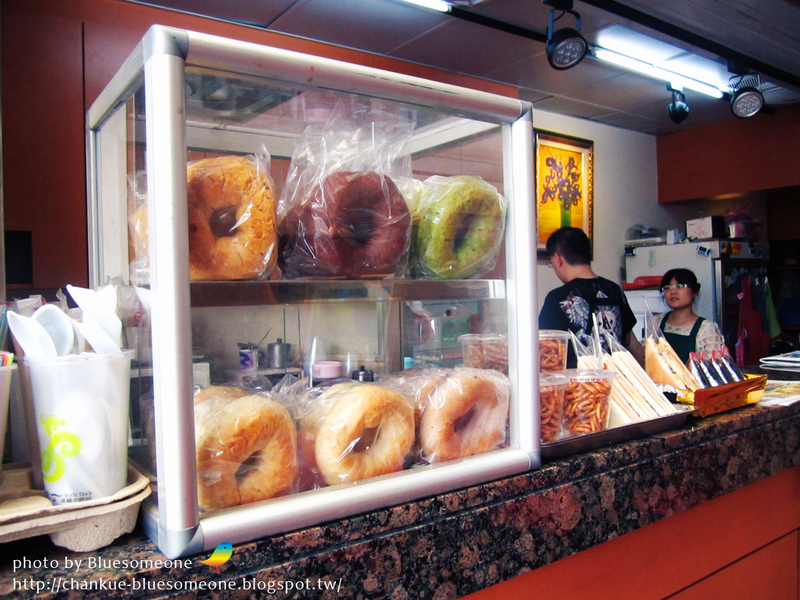 The bagels in the transparent windows are handmade every day. Due to the space of the bar courter, the bagels can’t go through the formal procedure heating before toasting, chewy feeling a little less, like bread more, but still taste good and very nature. I’m really lucky, got time that the bagel just done. The boss is so kind that treat me one of cranberry, delicioooooooooooous! 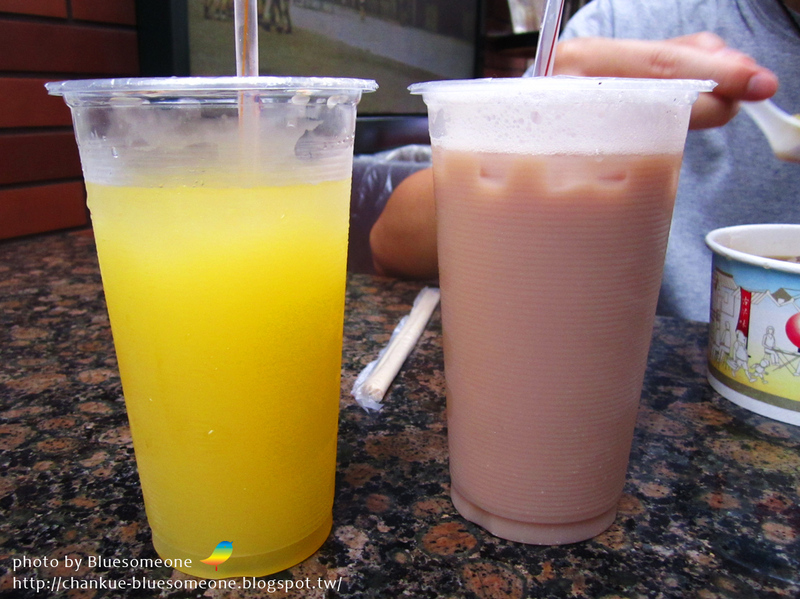 The drinks are made by the owner also, very honestly and valuable, not the one that adding a lot of water. 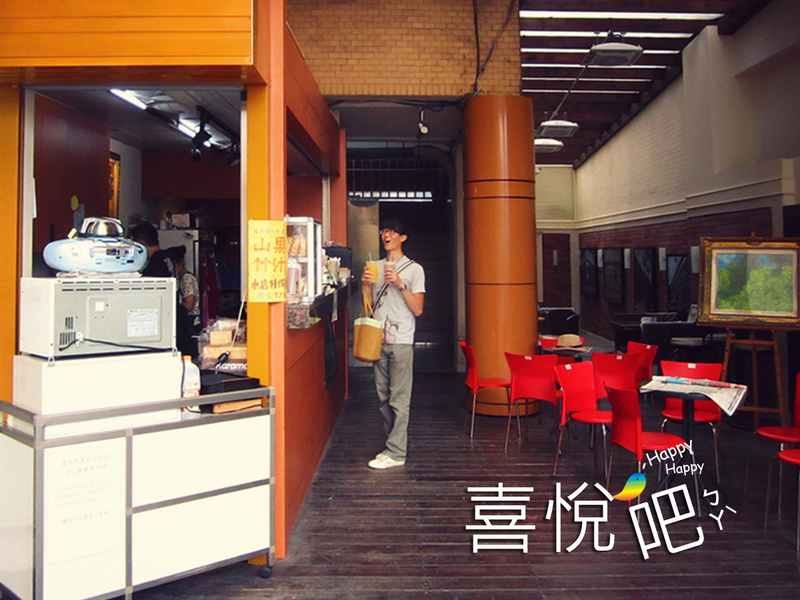 Because religion activities are in fashion in Taiwan, we have a lot of veggie store. However, the vegan diet just got attention these years, many veggie restaurants with milk and egg. Like vegan chocolate sauce, vegan garlic sauce, and vegan butter biscuit sauce are quite hard to get. To our surprise, the owner of Joy Bar himself is vegan, so many materials and sauce he used are made by himself with the ingredients he bought. Vegan people can relax and just enJOY!